Info: Lhamo Tseten self-immolated in front of the local military base and township administration in Amchok, which is in Sangchu (Chinese: Xiahe) county, Kanlho (Chinese: Gannan) Tibetan Autonomous Prefecture in Gansu province (the Tibetan area of Amdo). 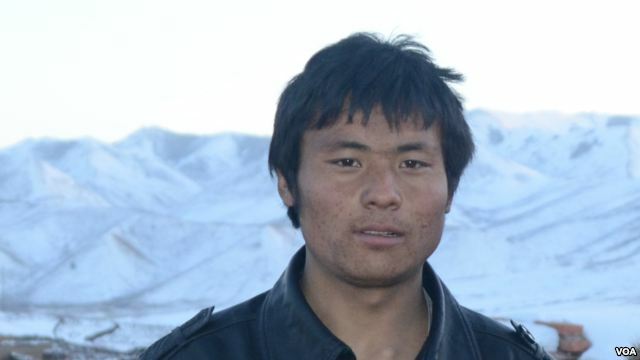 He was married to a local Tibetan woman, Tsering, and they have a two year old daughter. He is the fourth Tibetan from Sangchu county to self-immolate in the past week, following the deaths of Lhamo Kyab near Bora monastery on October 20, Dhondup outside Labrang Tashikyil monastery on October 22, and Dorje Rinchen outside a military base in Labrang town on October 23.